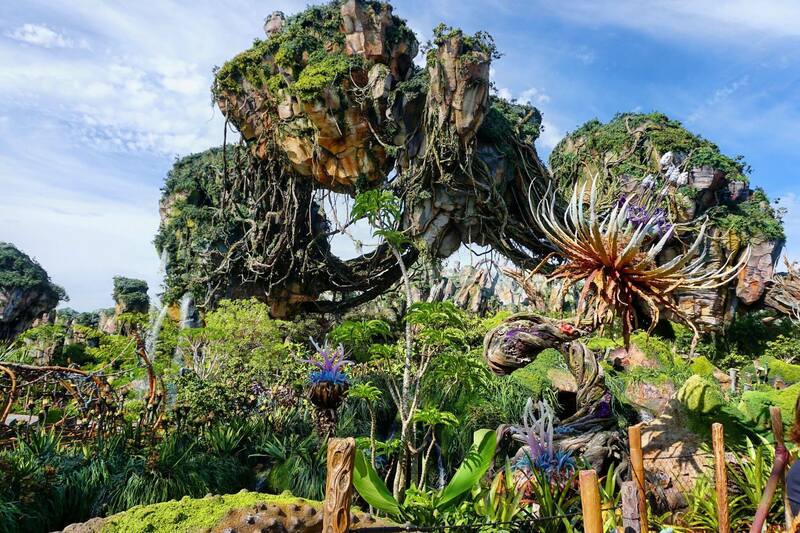 May 27th is the opening day for Pandora: The World of Avatar at Disney’s Animal Kingdom. Hopefully you get a chance to visit Pandora over the summer because here’s our five things you can only find if you do. If you think the scenery looks good in photos then you’ll be blown away in person. Once you step into Pandora you’re surrounded by giant rocks that look like they’re floating. Things get even cooler once you make your way under them. 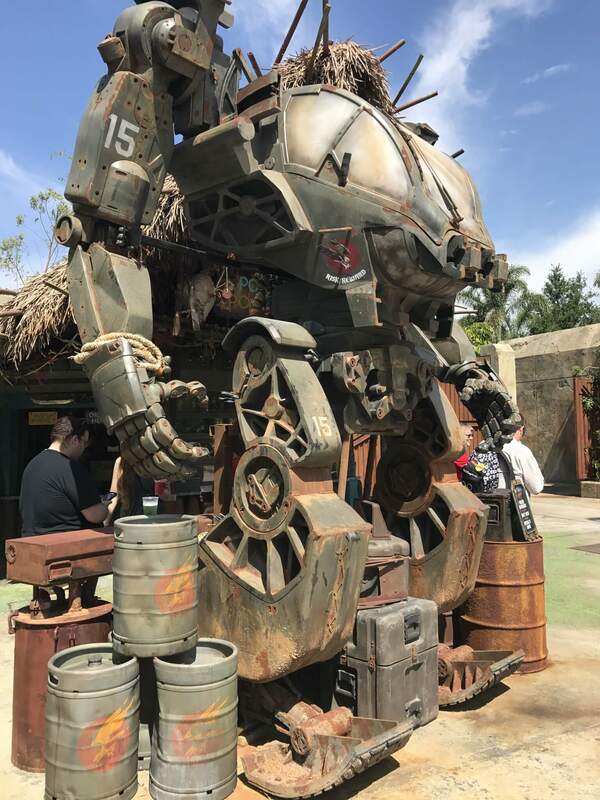 If you thought you’re getting served the standard theme park fare when you visit Pandora, think again. The types of food served are unique to this land and can only be found here. 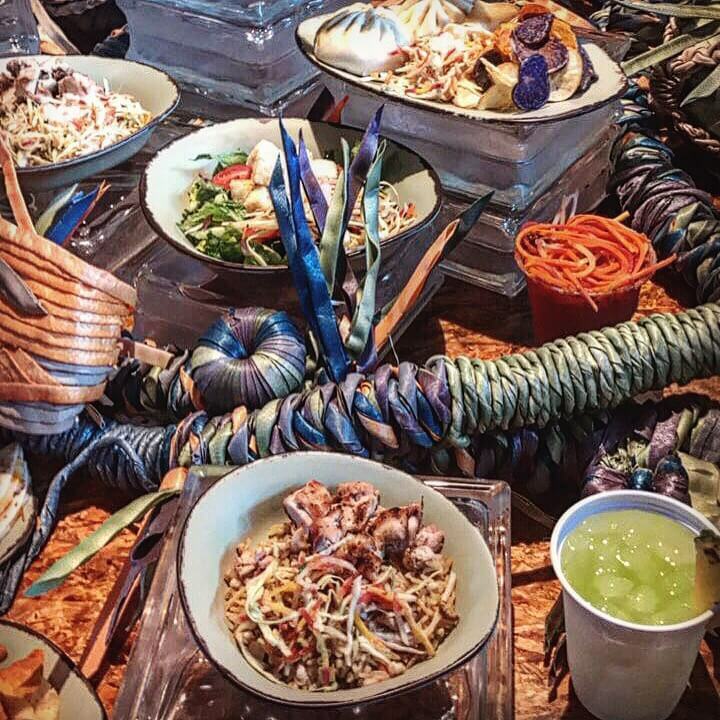 At Satu’li Canteen you’ll find unique culinary creations like Cheeseburger Pod Bao Buns and customizable bowls like the Chicken and Rice bowl pictured above. This restaurant is also the first to feature Mobile Ordering through the Disney World App. 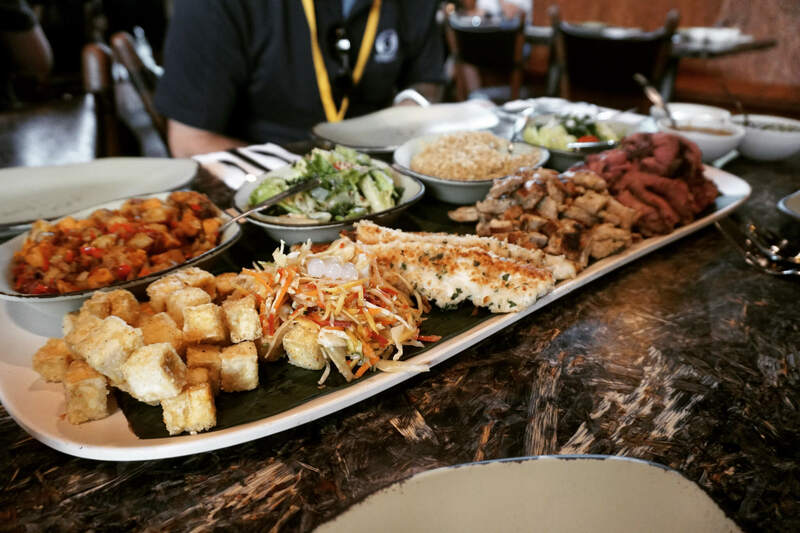 The customization options for bowls at Satu’li Canteen include sustainable fish, chicken, roast beef, and tofu. Yum! 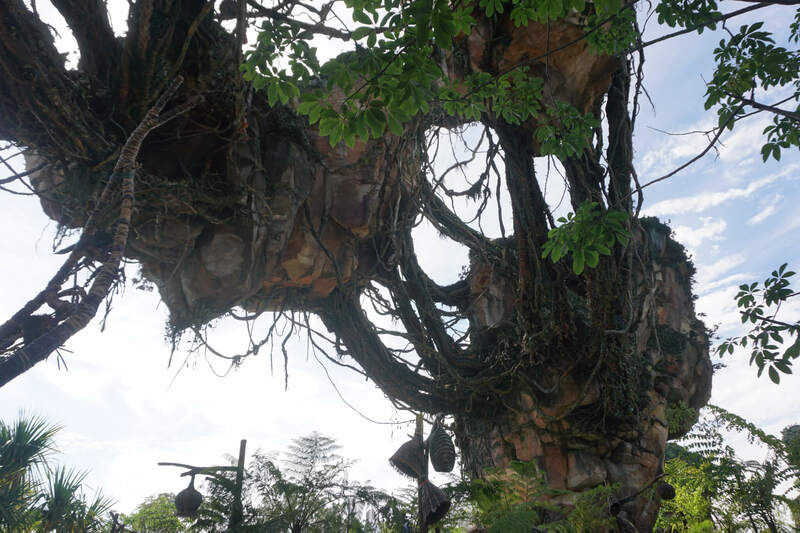 The merchandise options are unique to Pandora and you won’t find things outside of the land. Most of the unique merchandise is inside Windtraders at the exit of Flight of Passage. 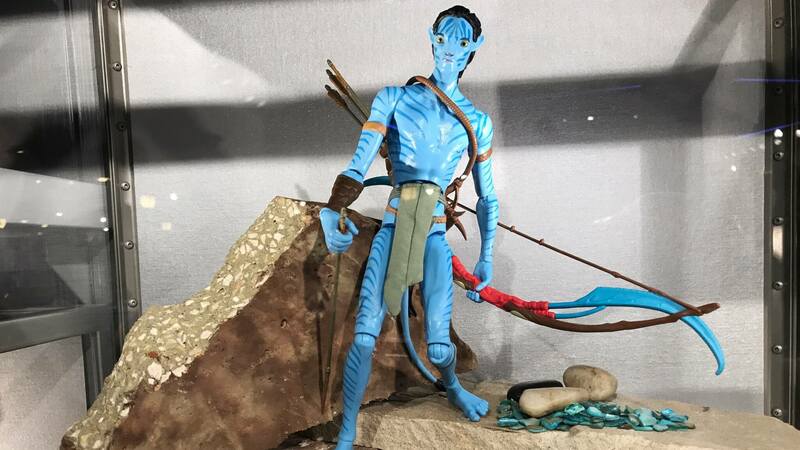 From baby Banshees that live on your shoulder to custom Avatar figures where they scan your face and put it on a Na’vi, Windtraders has it all. Even if you’re not into Avatar the story takes you in. The attractions do a great job of explaining the current state of Pandora. From the lore behind the Banshees to showing what the RDA has left behind, there’s plenty to take in. Of course the rides are the most important part of Pandora, but they also use some unique technology to make you feel like part of the Avatar program. 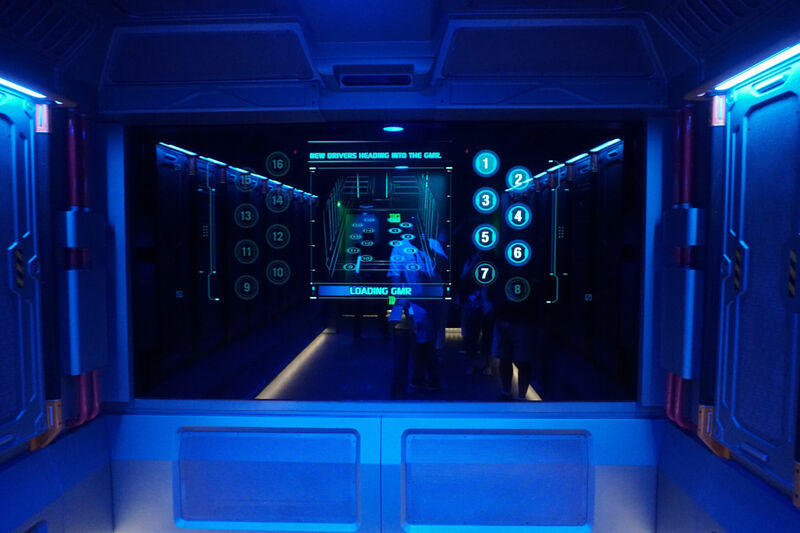 Screens are embedded in the wall to add a futuristic touch on Avatar: Flight of Passage (details). They also use special cameras to track the position of riders inside this room. 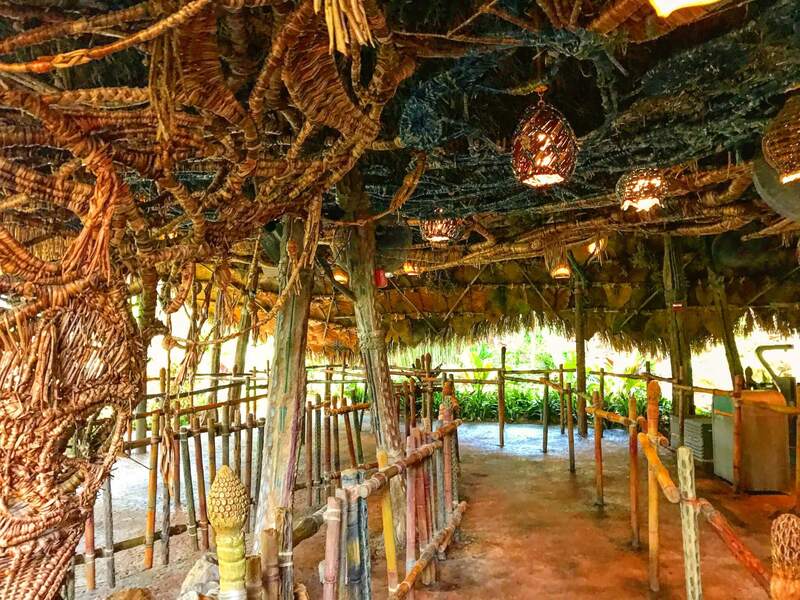 On Na’vi River Journey guests come face to face with a 10 foot tall Na’vi shaman seated on the riverbank. For more information on Pandora you can visit our location page. Don’t forget to follow us Twitter and Facebook for live updates from Pandora next weekend.